seems to happen only in that angle. Bug : sometimes I cannot launch planes anymore after using fighter consummable. But I gain total control of my CV. 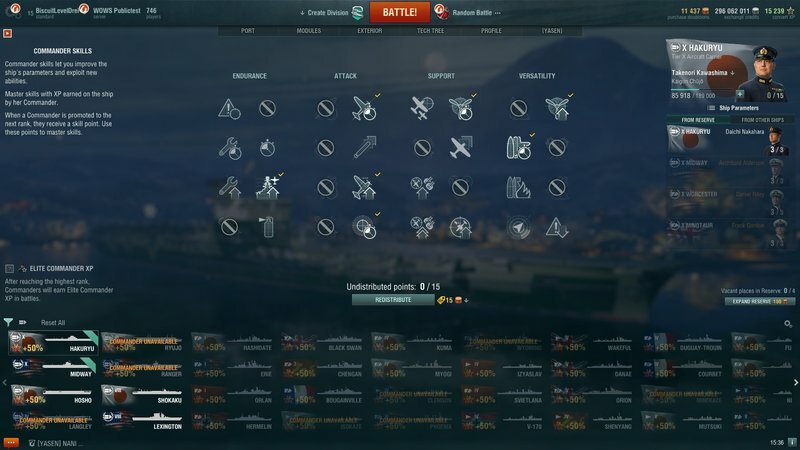 Why the Tier 10 ships are 500k exp to research? 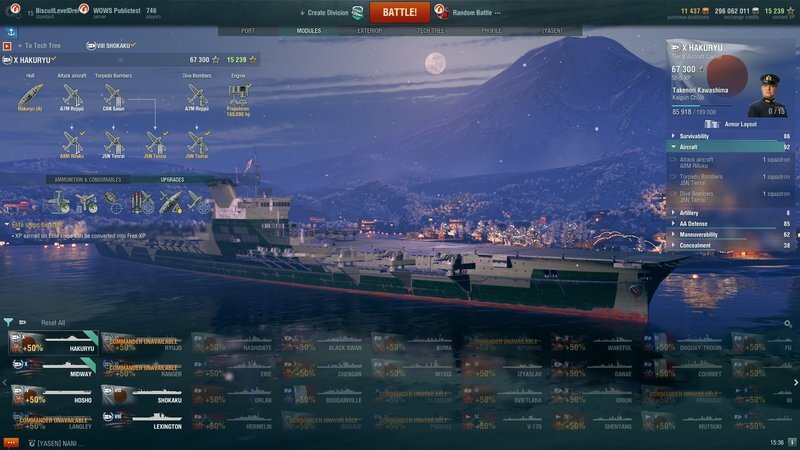 How do I get these ships? WTH is wrong with those team killer bots ?? edit : forget it, I was not looking in the right repertory, I addded the SC of the 2 bugs. When you only have 1 TB left (it happened with Shokaku B7A2 TB) in your squadron, it seems that the plane becomes hyper reactive to any change in direction, a slight hit on the left or right keys and the plane goes full 360°. I have encountered exactly the same problem. As I select the squadron, the deck plane number indicator is reduced in the UI as normal. Unfortunately, the planes do not take off. 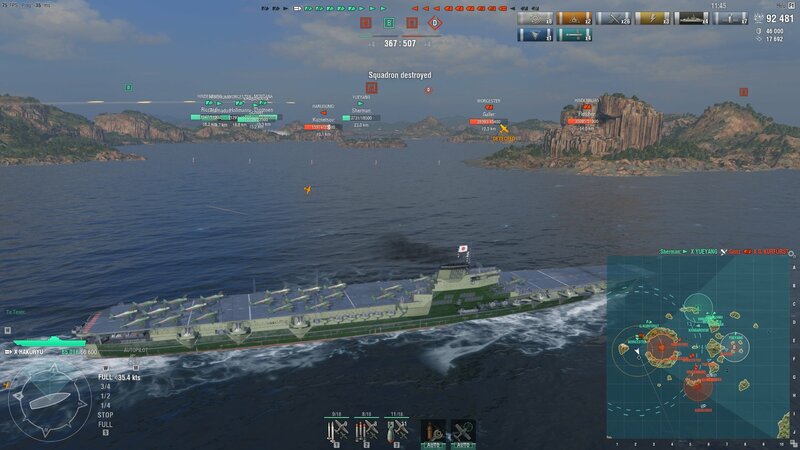 Hakuryu dive bomber aiming/dropping flight of the last drop is bugged. If the dive bomber squadron is down to its last 3 planes and a drop run is initiated, instead of going up, down, forward (as normal), the planes go up, then start flying down in circles uncontrollably. Therefore, the drop reticle wobbles sideways in an undefined way, instead of going towards the normal 2.0 km point of aim. habe probleme mit der tastaturbelegung festgestellt. fahre statt AWSD mit QWSD und das lässt sich nicht eninstellen da die cv belgung das q den schiffen wegnimmt bei den einstellungen. have problems with the keyboard assignment found. 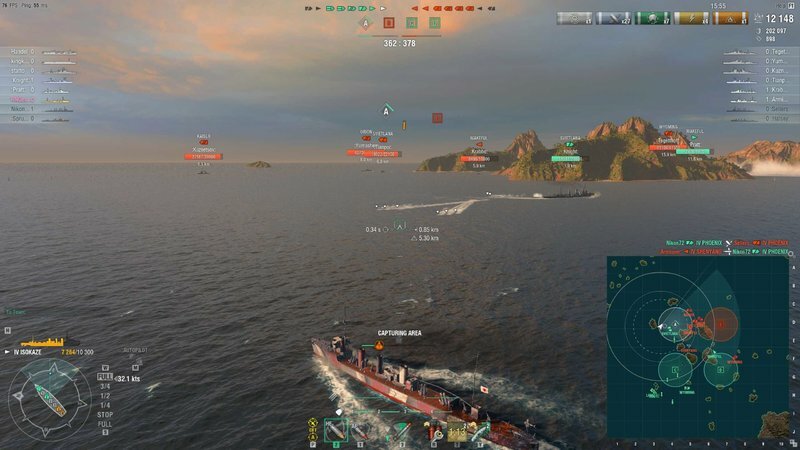 Drive instead of AWSD with QWSD and that can not eninstellen because the cv littering the q takes away the ships in the settings. Battle loading screen - start button does not appear - game frozen. It says 'waiting for players' forever. I am now unable to get into a game at all due to this one and I am trying to reinstall the client. I have been banned from random battles now for 46 games due to this as I have to force close the programme every time. 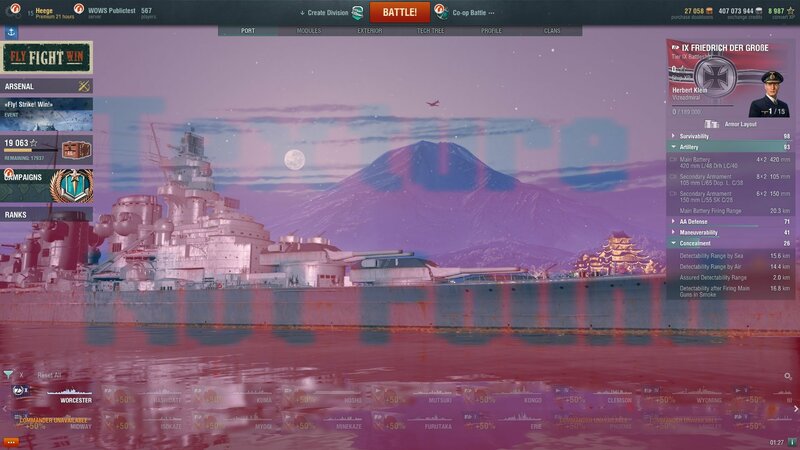 Game start - ships/etc do not display correctly - you can't really see anything and you can't control anything. Last game I was stuck looking at the water and that was it. In game - display crashes the display freezes on the planes and you are unable to control anything again. All you can see is AA effects and if you try pressing commands you get some response but generally this is just weird lines appearing on the screen. 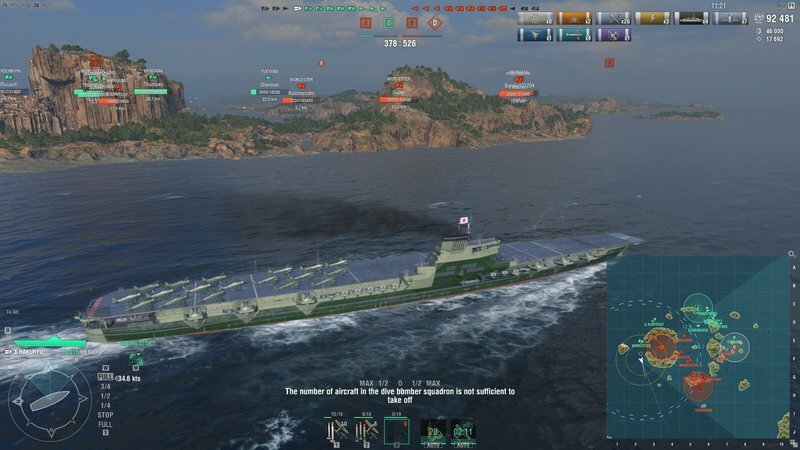 Suddenly unable to launch any planes on the T10 Carrier Hakuryu (launching planes worked fine at the start of the battle). Despite having more than enough aircraft in the hangar, launching planes is not possible (the command "Press 1/2/3 to launch Aircraft" was displayed as well). You should be able to launch planes. Bug time: about 14:00 (UTC). Bug happens in the Replay at about 15:49 (15 minutes left). 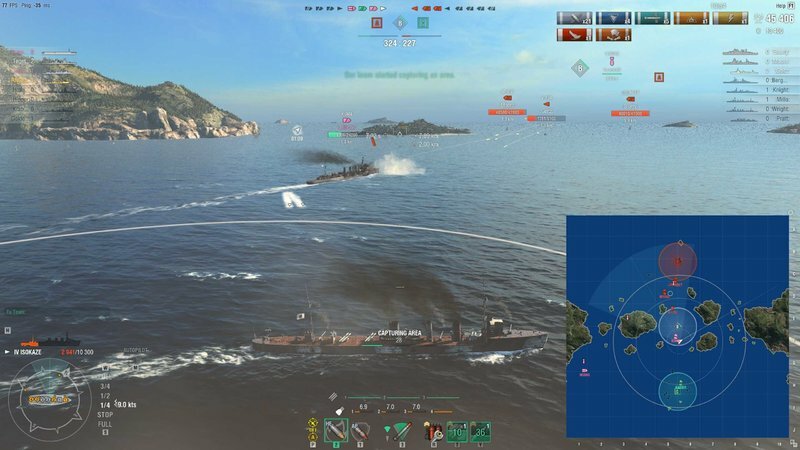 This bug happens to Midway as well. And I'm sure that each time I activate fighter consummable and abandon the current squad to get a new squad, I get that bug. This happened to me 6 times. 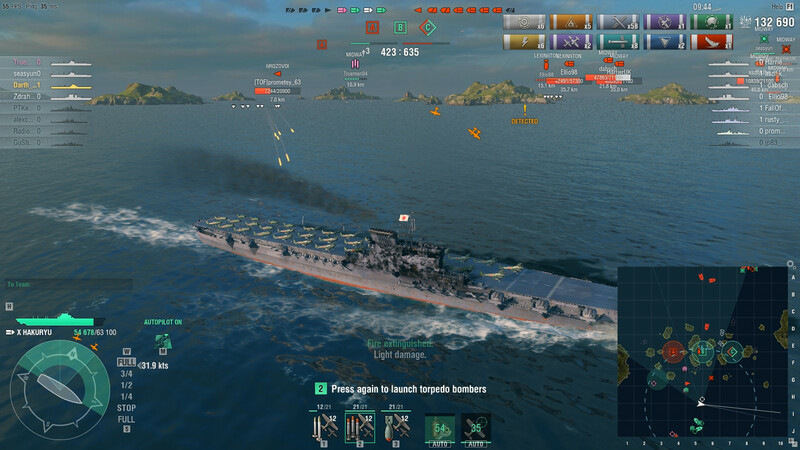 First of all; hello to everyone here, it's nice to see an active community that helps making the game better by finding bugs and testing new features. 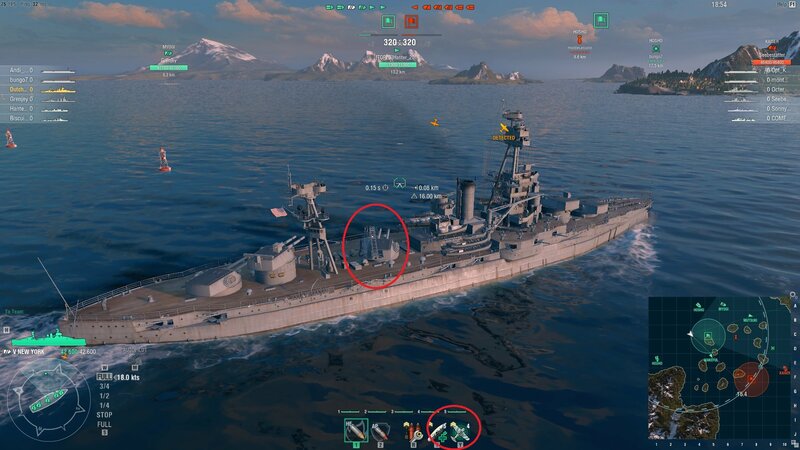 The bug occured during reload of the fighter squadron ability of the carrier. 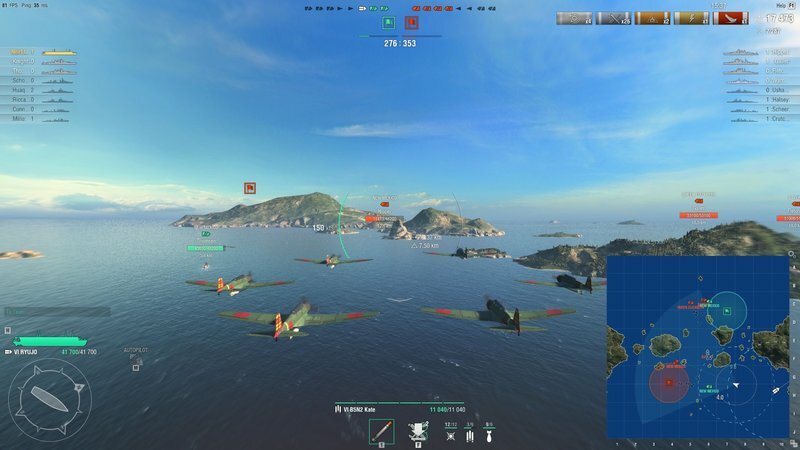 Planes in hangar suddenly "dissappear" after attempting to launch them (happened with Hakuryu but might also happen with Midway). Planes stored in the hangar "dissappear" instead of getting launched. The game then says that "the number of aircraft [...] is not sufficient to take off". 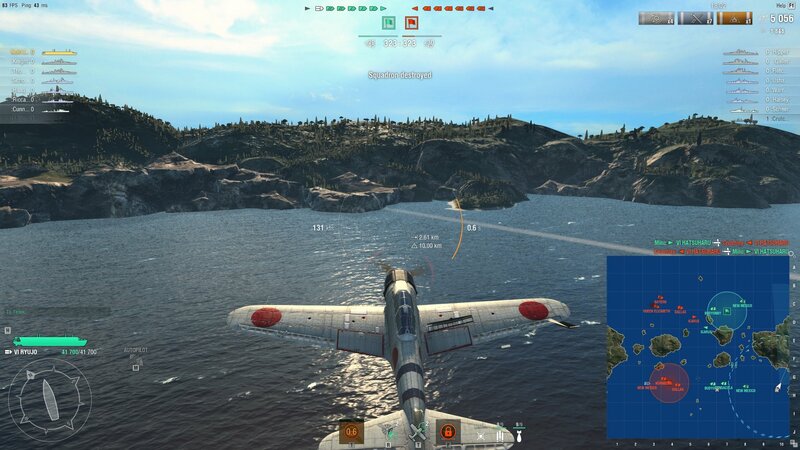 After this the previously mentioned bug of being unable to launch any other planes happens as well. Planes in hangar should take off instead of just getting removed from the hangar. Bug time: about 15:30 (UTC). Bug happens in the Replay at about 12:00 (12 minutes left). 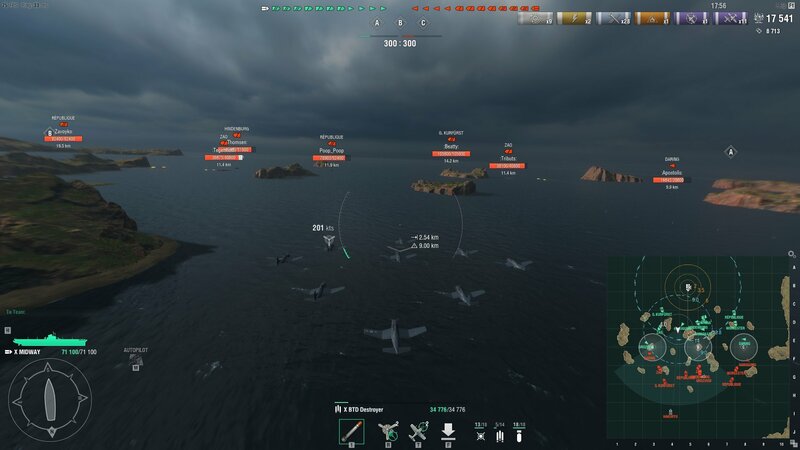 The UI shows only 1 plane in the healtbar even though the squad is at full hp. Even though all planes in the squad are at full hp the UI only shows on plane. After initiating an attack the UI shows the correct hp-bar. UI should show the hp of all planes. Bug time: about 16:00 (UTC). Divebomber planes suddenly move very slowly after a drop. After dropping (or at some other random point) the dive bomber planes suddenly fly very slow (something like 40-50kts if i had to guess) and won't speed up again. The only way to fix this is by calling back the current squad. 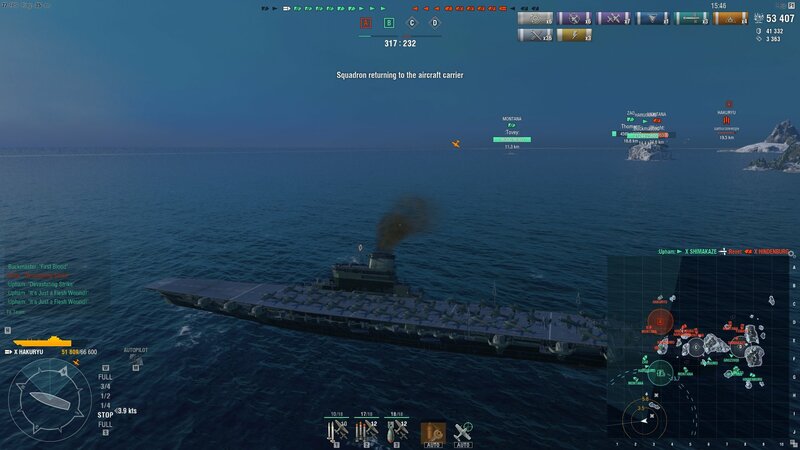 The UI still shows the normal speed (like 200 kts). Planes should move with their normal speed. Bug happened in the replay at about 09:30 (about 9:30 minutes left). Controls of the ship not working. Solve this .